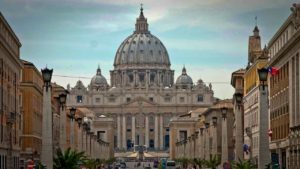 The afternoon Vatican tour is suitable for families, friends and couples and for all those who are not early bird person. You will meet our team at 2:00pm right in front of the Vatican Museums and with our friendly passionate guide you will access quickly inside the museums where you will receive personal headsets before the tour starts. 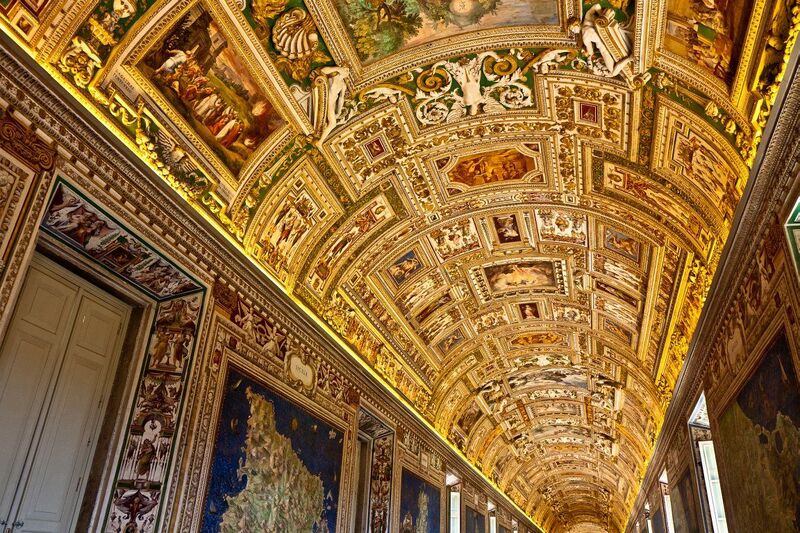 Have your camera ready (pictures without flash are permitted in the Vatican galleries) and start your adventure discovering one of the most unique museum of the world. The Vatican Museums preserved a countless number of roman-greek statues, paintings, mosaics and other precious art works who have been either part of the private collection of the Popes or where simply been donated to the Church State. You will be astonished by the beautiful rooms such as the Octagonal Courtyard where you will see the statue of the “Apollo of Belvedere”, the “Laocoon” marble group and in the Round room is proudly standing the bronze statue of Hercules, an incredible original bronze roman statue that was not melted down as it was in use in the past centuries to recycle the bronze. In the middle of the room right on top of a beautiful roman mosaic there is a colossal basin in porphyry marble that was retrieved from Nero’s Golden Villa called “Domus Aurea” located near the Colosseum. Our Vatican storytelling guided tour will slowly slowly bring you along other Galleries and heading to the Sistine Chapel where you will see with your eyes the incredible giant frescoes painted in a total of 9 years by Michelangelo, the “Genius of the Renaissance”. Michelangelo, got inspired by some spectacular roman statues, already part of the collection of the Pope Julius II, to represent the torsion of the bodies and some of the faces of the characters represented in the Last Judgement. It will be great to search for them and to recognize them through the characters represented in the frescoes. 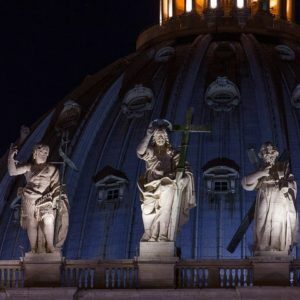 From the Sistine Chapel you will immediately access into the Basilica of St. Peter’s, the church is considered one of the largest churches of the world and inside, along the main nave, are marked names and sizes of the largest churches of the world. As you enter the Basilica, on the right hand-side you will see the beautiful marble group called the “Pity” or in Italian “La Pietà” where Holy Mary is holding on her laps the body of her son Jesus right after the deposition from the Holy Cross. It is a very special and tragic moment but Michelangelo was able to express it just revealing the figures who according to his philosophy were trapped into the marble. Your attention will be also gained from the impressive giant architecture and baroque decoration that it has been projected by the “Baroque Genius” Gian Lorenzo Bernini who became the architect of the Church state under the Pope Urban VIII Barberini. Bernini projected the spectacular bronze “Baldacchino” tall almost 90 feet and the Altar of the Chair of Saint. Peter. Inside the Basilica there are also many beautiful mosaics and spectacular monumental tombs of many Popes. After the guided tour with our friendly passionate guide you can remain longer in the Basilica or choose to climb the dome or go to see the Papal Grottoes. Our tour will cover the highlights of the Vatican Museums, Sistine Chapel and Basilica of St. Peter’s, you will tour with a storytelling passionate guide for 3 hours and have fast track access without standing in line into the Vatican Museums. 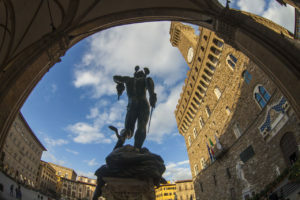 This tour is suitable for all those that prefer to tour in the afternoon and maybe stay away from the mid morning daily crowd that in high season is visiting the Vatican Museums. Itinerary : Pine Cone Courtyard , Octagonal Courtyard and the Laocoon, Room of the Animals, Room of the Muses, Round Room, Candelabra Gallery, Tapestry Gallery, Gallery of the Maps, Sistine chapel, Basilica of St. Peters’ and Michelangelo’s Pieta. 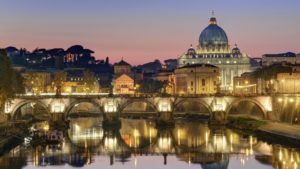 This tour is lasting 3 hours and is up to 18 participants or less, personal headsets and skip the line tickets included in the guided tour with Vatican license tour guide. This tour runs every Monday, Wednesday and Saturday. This tour runs every Monday, Wednesday and Saturday. The tour is not running in bank holidays. No suitable for wheelchairs or walking strollers. Viale Vaticano 100, right outside the Cafe Vaticano, across the street of the Vatican Museums entrance. Meeting place across the Vatican Museums entrance, Viale Vaticano 100 outside Caffè Vaticano. By Metro, (Line A), get off at Ottaviano. Ottaviano metro stop is only 10 minutes walk to the Vatican Museum only entrance and you will meet us right across the street with a sign. Please note: St. Peter’s square is not the Vatican Museums meeting point.